It’s a multi-sensory stimulator for baby in the first few months. Also ideal for teething. 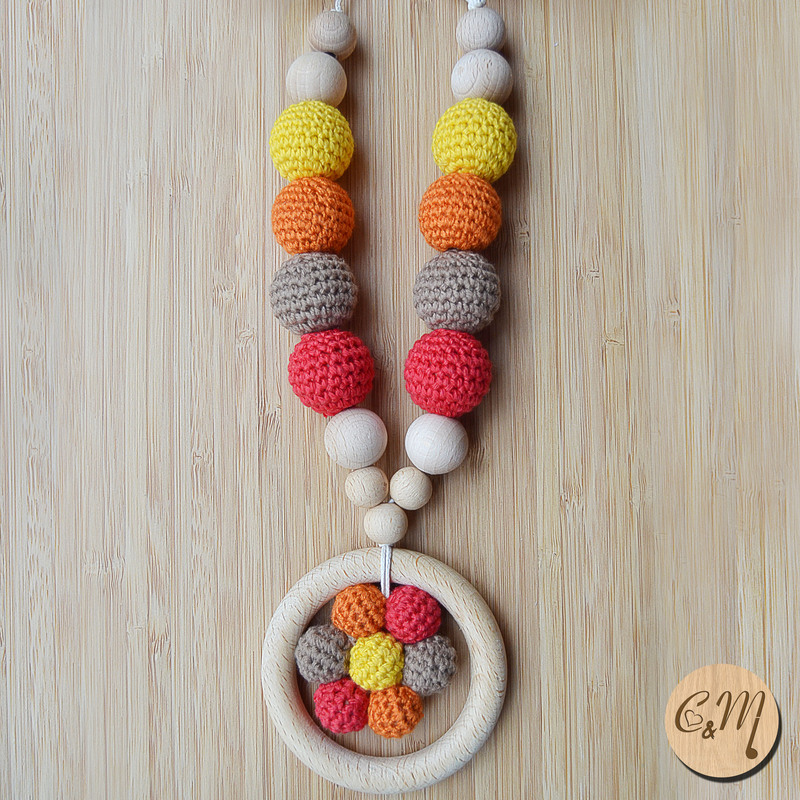 It gives baby a focal point and has been proven to keep a child breastfeeding longer. 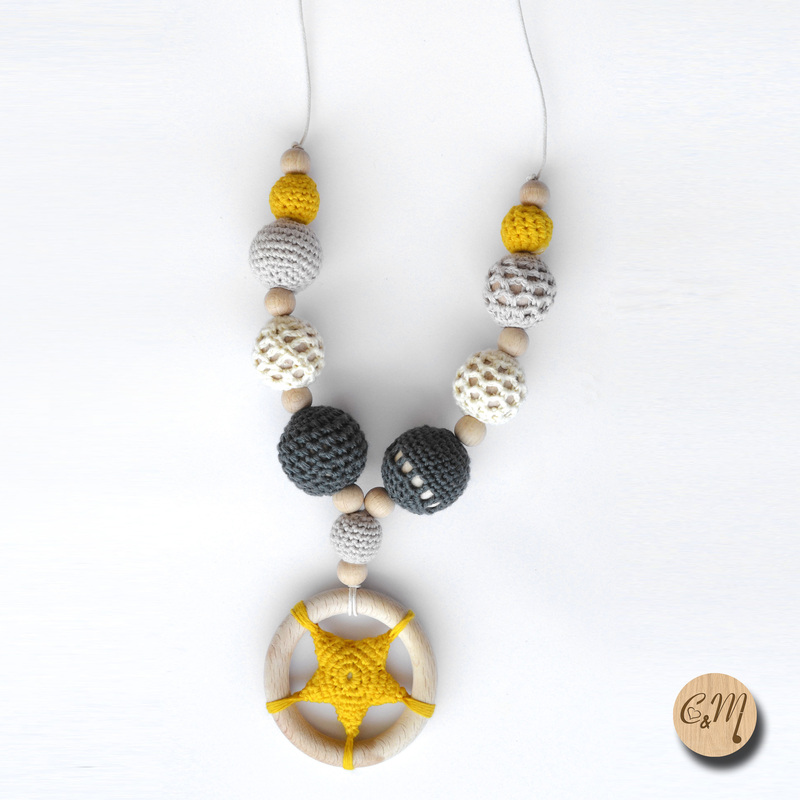 Wear it during feeding so babies can focus on colors and shapes sharpening their visual skills and keeping babies focused on the necklace not painful head-turning distractions. 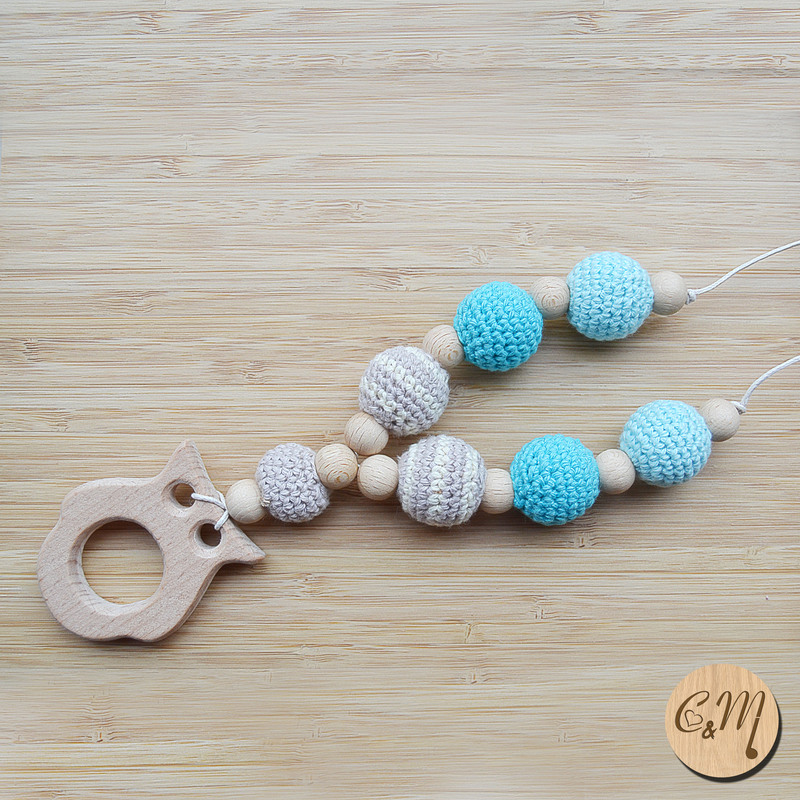 As Baby progresses, the beads become something they can reach for, grab and play with saving the feeders hair, clothes and skin. 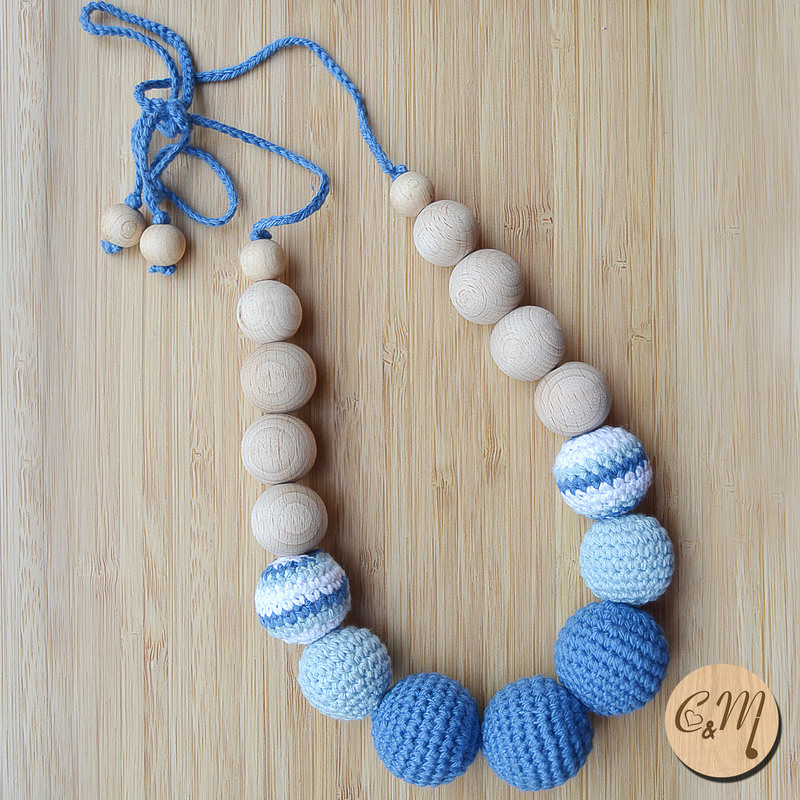 Materials: Recycled Cotton (Oeko-tex certificate) – Natural wood. Hand washable in cold water with mild soap. Attention: don’t leave it unattended in child hands.